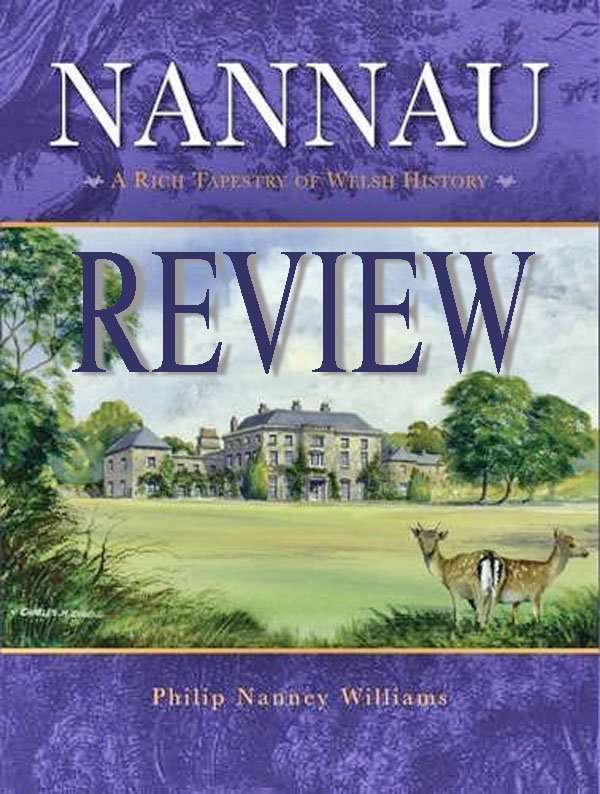 NANNAU: A RICH TAPESTRY OF WELSH HISTORY. By Philip Nanney Williams. Llwyn Estates, Manafon, Welshpool, 2016. Pp. vii, 393. 436 illus. £30.00. Nannau in Llanfachreth, Merioneth, is a real ‘Hinterland’ sort of place, forlorn and empty, though still roofed and windowed, high in the hills above Dolgellau. The Nanneys who had created and owned it for about nine centuries, sold up in 1965, and the farming estate then went in 1975. The house became infected with dry rot, its fine interiors of the 1790s were stripped, and so, if not saved soon, it will become part of Welsh architectural necrology. This magnificently illustrated book, with its many genealogical charts, is written by a member of one of the cadet branches of the Nanney clan, and it takes the form in the main of a dynastic chronicle, starting with the Nanney descent from medieval Welsh princes. It contains a fascinating account of how, around the mid-twelfth century, the chieftains and freemen changed from a nomadic hunting gathering economy to a settled existence, persuaded by the princes to clear and settle wild lands by a group effort of each family, called a gwely, the family maintaining its co-ownership for four generations, after which there would be a new shareout of lands with new gwelyau forming. 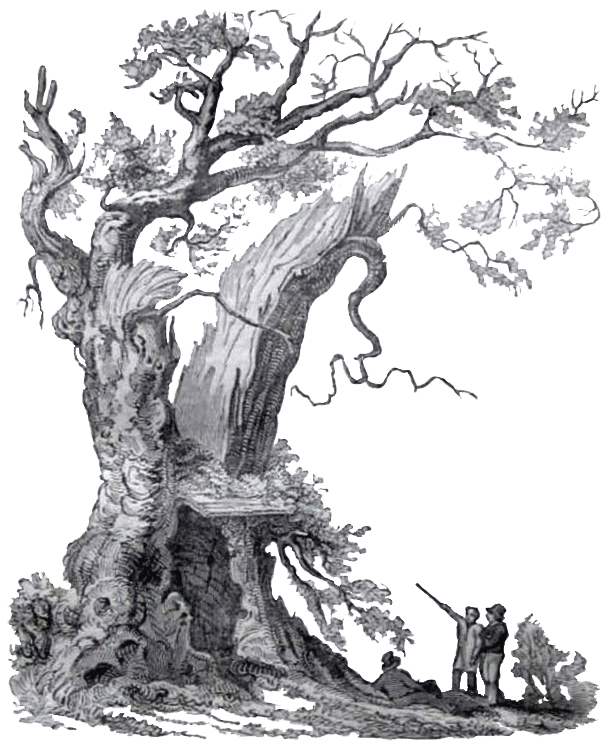 The third chapter is devoted to the infamous blasted oak of Nannau, ‘Ceubren yr Ellyllon’, where Owain Glyndŵr is said to have placed the corpse of his cousin, Hywel Sele of Nannau, after a family feud. The next chapter is on the emergence of a nucleated estate out of the old tribal co-ownership, by the family’s use of tir prid ‘fictional mortgaging’ and by taking advantage of the abolition in the Tudor ‘Acts of Union’ of Welsh traditional landholding, and by being well poised to buy up Church lands at the Reformation. 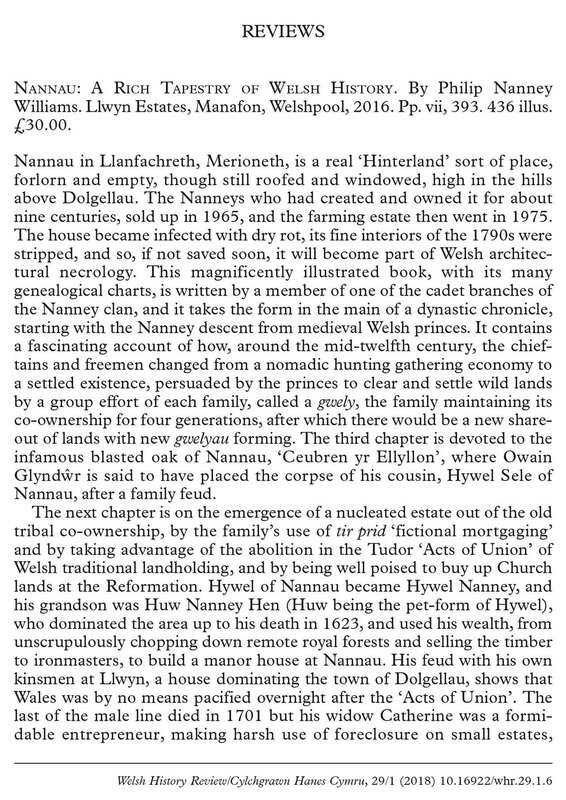 Hywel of Nannau became Hywel Nanney, and his grandson was Huw Nanney Hen (Huw being the pet-form of Hywel), who dominated the area up to his death in 1623, and used his wealth, from unscrupulously chopping down remote royal forests and selling the timber to ironmasters, to build a manor house at Nannau. His feud with his own kinsmen at Llwyn, a house dominating the town of Dolgellau, shows that Wales was by no means pacified overnight after the ‘Acts of Union’. The last of the male line died in 1701 but his widow Catherine was a formidable entrepreneur, making harsh use of foreclosure on small estates, which had been offered mortgages, in order to expand her own lands. The last Nanney daughter married William Vaughan of Corsygedol and they thus came to own six major estates. This was one of several rather inbred marriage alliances of Nanneys and Vaughans, and in the end produced remarkably few heirs. The eighth chapter is on the Vaughan baronets of Nannau from 1727 to 1859, a period when the Vaughans not only rebuilt the great house which exists today, but the Williamses-Vaughans also carried out a vast number of ‘improvements’ on the estates, cottages and farms, lodges, carriage-drives and triumphal arches, churches and almshouses, and picturesque reafforestation. There was a good deal of opposition to the squirearchic control of the area in Victorian times, but it is astonishing how Ellinor Ann Vaughan, the widow controlling the estate, could rule so imperiously until her death in 1917. After her era there came a gradual decline, and the house and the estate had gone out of the family by 1975, a textbook example of the tragedy of the Welsh gentry estate. The twelfth chapter is an excellent account of the cadet branches of Nanneys with their estates, some of which still survive to this day. The virtual disappearance of the old gentry in many parts of Wales has turned them into a subject for study, as well as an object of fascination. 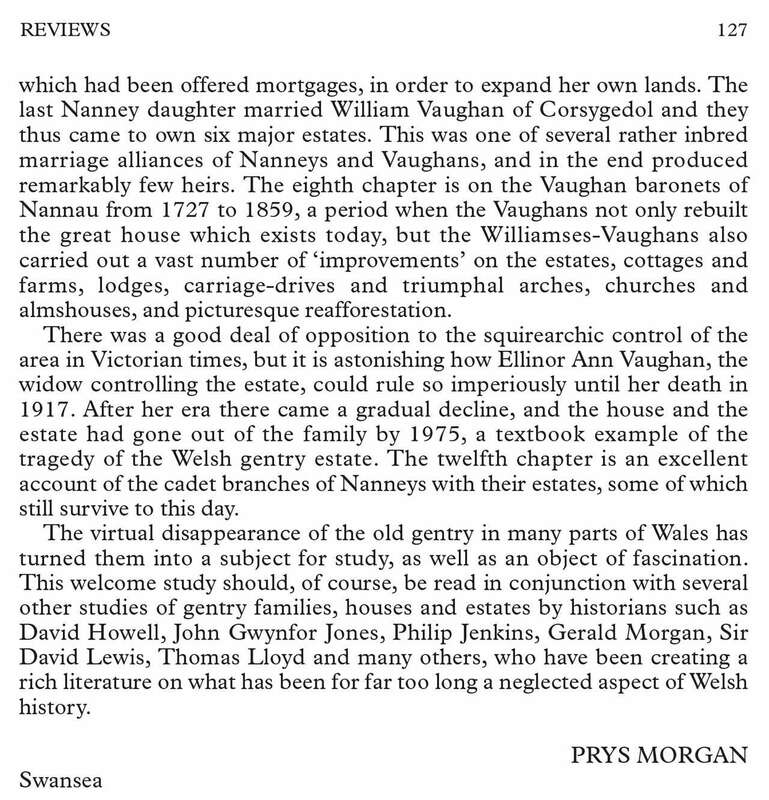 This welcome study should, of course, be read in conjunction with several other studies of gentry families, houses and estates by historians such as David Howell, John Gwynfor Jones, Philip Jenkins, Gerald Morgan, Sir David Lewis, Thomas Lloyd and many others, who have been creating a rich literature on what has been for far too long a neglected aspect of Welsh history.